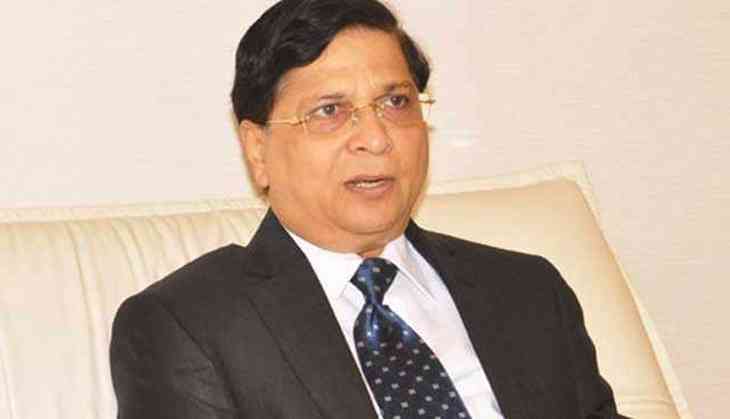 Home » india news » ICJ to petition Prez against Justice Dipak Misra’s elevation as CJI. Will he act? In its bid to prevent Justice Dipak Misra from becoming the next Chief Justice of India (CJI) the International Council of Jurists (ICJ) is seeking the intervention of President Ram Nath Kovind. The council, which comprises jurists from various countries, will be submitting a petition to President Kovind and Prime Minister Narendra Modi seeking a probe into alleged graft charges against Justice Misra. The ICJ on July 24 had petitioned outgoing CJI JS Khehar about Justice Misra’s alleged involvement in a land scam in Odisha while he was an advocate, and sought a probe. But with Chief Justice Khehar yet to act on the complaint and even recommending Justice Misra as his successor, the ICJ on Wednesday will be submitting petitions to both Kovind and Modi urging that Justice Misra should not be elevated to the top post unless the charges against him are cleared. Besides allegations that he made a false declaration to acquire land meant for the landless poor in Cuttack in 1979, the ICJ will also be citing late Arunachal Pradesh Chief Minister Kalikho Pul’s suicide letter in which he had leveled graft charges against several former and sitting Supreme Court judges, including Misra. “Along with Misra’s complicity in the Cuttack land scam, we have mentioned Kalikho Pul’s suicide note in which he had named Misra among others. It will be travesty of justice if a man facing such serious allegations is made the Chief Justice of India,” said ICJ president Adish C Aggarwala. “In his suicide note, Pul had mentioned about one Aditya Mishra who is relative of the judge, who had asked Rs 37 crore from him,” said Aggarwala referring the 60 page letter that was written in Hindi. The ICJ in the petition has also mentioned allegations against Justice Misra by retired Orissa High Court judge Justice BP Das who had ordered a CBI probe in the land scam case. Das had accused Misra of scuttling his candidacy as chief justice of the Punjab & Haryana High Court. Efforts to reach out to Justice Misra were unsuccessful. People close to him earlier had dismissed the charges. With CJI Khehar slated to retire on August 27, ICJ will urge the President to appoint a CJI in the interim till the allegations against Misra are cleared. “We will personally appeal to the President to set up a panel of Supreme Court judges to probe the charges against Misra and name another judge as the acting chief justice after incumbent Khehar retires,” added Aggarwala. A former Chief Justice of the Patna and Delhi High Courts, Justice Misra became a Supreme Court Judge in 2011 and is currently the senior most apex court judge after CJI Khehar. Meanwhile, the ICJ’s complaint to CJI Khehar, according to an informed source, has been forwarded to the union law ministry for its perusal. In its petition, the ICJ had referred to a CBI report to the Orissa High Court in which it indicted Misra in the alleged land scam and sought an in-house committee consisting of Supreme Court judges, to look into the allegations. Rebel Aam Aadmi Party MP from Fatehgarh Sahib in Punjab Harinder Singh Khalsa has also written to the Prime Minister over the allegations against Misra and called for a probe. Khalsa has also mentioned Pul’s suicide note and said that the next CJI “should not merely above suspicion but a judicial statesman, a tall figure whose integrity and probity is beyond doubt”. “When graft charges were brought against then Calcutta High Court judge Soumitra Sen, a probe panel was constituted by the CJI. It should be done in Misra’s case as well,” said Khalsa. In 2011, Sen resigned as a judge of the Calcutta HC after the Rajya Sabha passed a motion of impeachment against him for misappropriating funds as a judge.